I hope you enjoyed last weeks Sunday Confessional (read it here if you missed it). I found it so cathartic that I thought I'd do it all over again this week, and it may become a blog series if I keep spilling my guts out all over the internet (what a disgusting mental image!). This week the big secret I thought I'd confess to you all is that I don't really wear makeup. I wear eyeliner every day at work, but that's mostly because I wore it so often that I look really ill if I don't now. Other than the eyeliner though I wear nothing else on a day to day basis, no mascara, no foundation, no lipstick, nothing. This tends to shock people when I tell them, as most women wear a full face of makeup every day. Not that long ago I was at a sleepover and the girls got the makeup wipes for everyone to use to take their makeup off at the end of the night, I took my eyeliner off and one of the girls exclaimed "You hardly look any different without your makeup on!" That's because I don't really wear any! 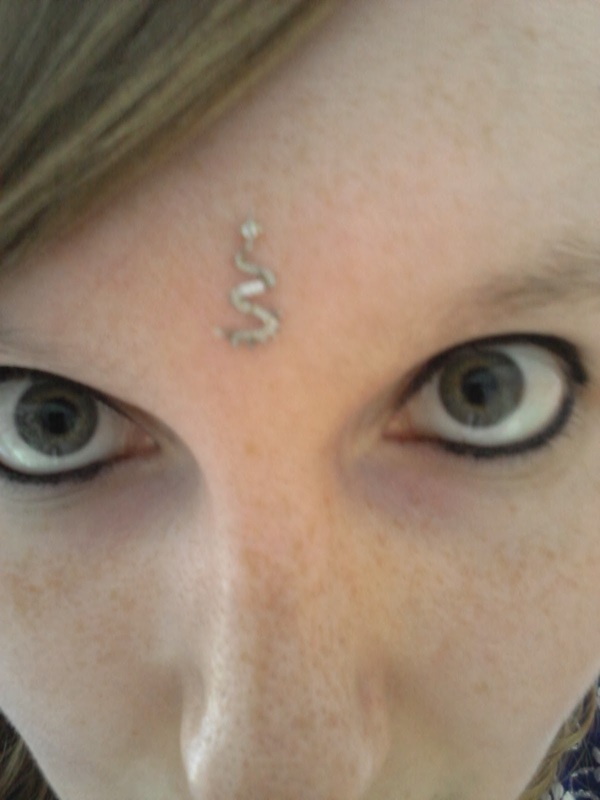 The picture above is me on a normal day (minus the bindi, I was at a Hindu wedding when I took that picture, I wish I could rock a bindi every day, pretty!). You can see all of my freckles, and my usual black eyeliner in place. One of the main reasons I think I never got into wearing makeup every day was because my Mum only wears mascara, and doesn't own any foundation at all. Also, as the oldest sibling and cousin in my generation of family, and as my friends at school weren't "girly girls" I kind of skipped that whole part of being a teenage girl. That's not to say I didn't experiment though, I remember some interesting looks I created when I was about 11 or 12, bright blue eyeshadow and red lipstick. There is photographic evidence somewhere, but I hope it never sees the light of day! Here is one of my more pitiful makeup attempts for you to laugh at. If I become famous or something, please don't let this picture get used on the national news. It looks so awful! The blusher was an ill-advised attempt at being a proper girl, and I look like a clown. 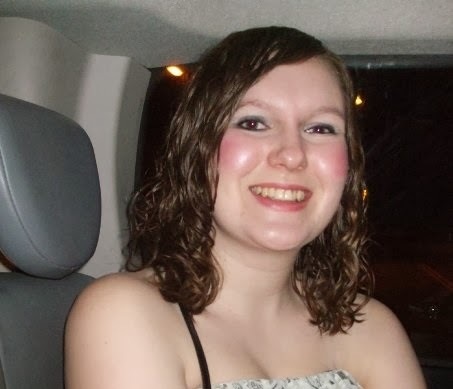 I've never touched blusher since this night out in 2009. "How do you apply foundation without it clinging to any dead skin on your face? How do you not get an orange tidemark around your jaw?" "What do I wear on my lips for a complete lipstick/gloss virgin? Does it bleed? How do you stop it?" "Can I wear blusher even though I go very red faced while warm? What do I do with it?" and "Eyeshadow and eyeliner, how does that work?" If you can help me to answer any of these questions then I would be very grateful, and there may be a follow up blog post to this if I ever manage to not look like a clown when I try to apply makeup!